To sell your MacBook or not to sell - that is the question. We get it, it can be hard to let go of things, especially something as awesome as a MacBook, even if yours is collecting dust. When you're ready, we highly recommend that you check out Gazelle's MacBook recycle program. We will happily recycle your MacBook for you, putting money in your pockets while reducing your environmental footprint. Who can say no to that?! You start online by answering a few quick questions. You'll be asked to rate the condition of your MacBook as either fair, good, or flawless. You'll want to consider factors like whether the device's screen is cracked or has liquid damage. Based on your answers, we will make an offer to purchase your MacBook, and at that point you have the opportunity to lock in your price for 30 days. Accept our offer and we'll send a pre-paid box to ship the laptop back to us. Or, if you like, you can use your own shipping box - simply go to our website and print a pre-paid shipping label, and attach it to the box before mailing. If you miss the 30-day deadline, your MacBook buyback offer expires, which means you'll have to start the process all over again, including getting a new MacBook trade in offer. Once Gazelle receives your old MacBook, we will issue a check within 10 business days, assuming its condition is as you said. If we have to revise the price, we'll email you an updated offer. Should you decide to pass on it, we'll send your MacBook back without charging you one cent. There is no risk, which is why Gazelle is the smartest choice for your MacBook trade-in. And it's why more than two million customers have trusted Gazelle to recycle their Macbooks, smartphones, iPads, iPods, and more. The MacBook Pro is the highest-end model of the MacBook family, and there's still tremendous demand out there for this beautiful piece of electronics. Apple has recently unveiled a new version of the MacBook Pro, for both the 13-inch and 15-inch models. Whenever Apple introduces new products into the market, it causes older versions to depreciate in value, and fast. So if you're thinking about selling your MacBook Pro, there's never been a better time than right now. 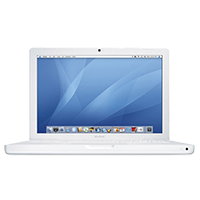 It might not get as much fanfare as the MacBook Pro, but if you would like to part ways with your sleek and ultraportable MacBook Air, we are more than happy to buy it from you. How will you get paid? We give you three ways to grab your payout. We'll mail you a check, deposit your money in a PayPal account, or send you an Amazon gift card. The quickest way to get our best offer is by entering your serial number. So don't delay -- find out today how much you'll get when you sell your MacBook, MacBook Pro, or MacBook Air.